AMERIGO INTERNATIONAL REAL ESTATE is a unique Luxury Real Estate Brokerage specializing in waterfront properties and portfolio management in four of America’s most desirable locales. 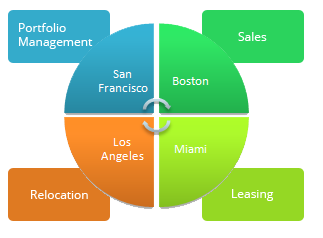 San Francisco, Boston and Los Angeles have a proprietary hi-tech and bio-tech link. All areas are major ports and top tourists destinations. Diverse climates inspire multiple property ownership enjoying seasonal weather. Areas attract highest level of international investment. All markets are major financial centers. Many Angelinos, Bay Area residents and northeasterners enjoy second homes in the Miami-Dade, Broward and Palm Beach County communities. Areas are the most desirable waterfront communities in America. Celebrities, athletes, designers and artists in Los Angeles enjoy second homes in the wine country and Miami area.